In Social Flow in Gameful Design I made the point that social flow contrasts to Csikszentmihalyi’s original concept of individual, or solitary flow, in which a person’s engagement in actions is optimal when they lose a sense of time and awareness of self in an intrisincally rewarding feeling of accomplishment. Social flow implies a qualitatively different order of the flow experience, a group-level experience. To that extent, gameful designs that take social flow into consideration incorporate a different set of design principles to those involved in what most people currently refer to as gamification. In a similar vein, Simon Wiscombe recently observed , “Gamification is inherently flawed because it focuses on rewarding players for the end-state.” He adds that designs that gamify are best when they focus on the journey rather than the outcome, especially if the aim is to evoke the voluntary, ongoing engagement of participants. I emphasize the importance of voluntary experience because if you can’t quit playing when you want to the experience is not a gameful one. Recent social psychological research supports Simon’s point. Flow in a social context may be a qualitatively different phenomenon than flow experienced in isolation. Classic research in social psychology has amply demonstrated that people act, think, and feel qualitatively differently within a group than by themselves…Social contexts introduce additional variables that may inhibit, facilitate, or transform flow experiences. Social contexts can be enormously complex. They range from ‘mere presence’ situations where individuals perform in the midst of passive others…, to co-active situations where people perform side-by-side but do not interact, to highly interdependent interactive situations where people must cooperate and coordinate their performances within established groups…In highly interdependent situations, people may serve as agents of flow for each other. This form of social flow is mutual and reciprocal, a form that is likely to be qualitatively different than solitary flow (my emphasis). In mere presence and some co-active social situations, a form of solitary flow is probable because the unit of performance is the individual, however when the unit of performance is a group, especially a team that must do tasks requiring interdependence and cooperation, social flow should be more likely. Social flow should be easily seen in highly cohesive teams in which there is agreement on goals, procedures, roles, and patterns of interpersonal relations and the competency of team members is uniformly high… (see original text for references, my emphasis added). The main thing to note from Walker’s research is that it confirms Csikszentmihalyi’s point (p. 158) that flow experiences occur most frequently in work settings, yet qualifies it by noting that “social flow is more joyful than solitary flow.” Moreover, interactive situations compared to co-active ones scored highest in social flow in Walker’s research. To start I want to acknowledge that the term “gamification” is not the subject of this post even though it is the buzz term these days. So before going further let me explain why I think the term is misleading. When used as a noun, gamification implies a standardized design process and I don’t think one exists for implementing game design that enables relationships in social business. I prefer to follow Jane McGonical’s use of the term gameful to reinforce the point that the spirit of games rather than the mechanics is most important in designing for what makes experience playful, especially in collaboration. I do use gamification in the context of other people’s discussions though. In additon, I use the verb gamify to imply an activity. Don’t Gamify Wild Bill discussed the importance of designing for voluntary play in serious games. Playfulness is the baseline requirement for any game designed to provide useful indicators for gauging individual and organizational successes over time. The qualifier over time is the key point to keep in mind. Specifically, those interested in gamifying employee engagement in social business, and who also aim to effectively use collaboration, must optimally design for emergence not just competition and cooperation as guiding principles. 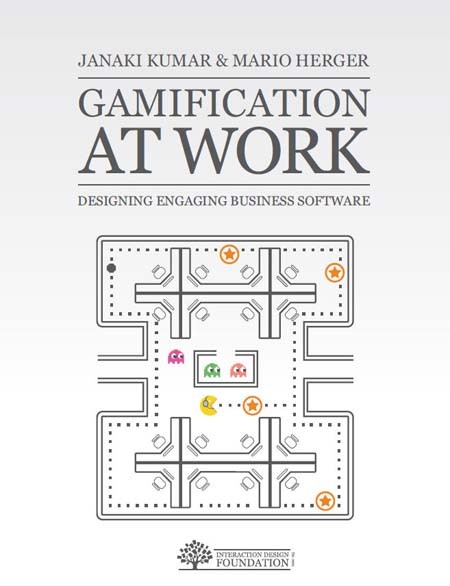 To echo the position taken by many game designers on the subject of gamification, you can’t simply add game mechanics to employee participation in business processes and expect voluntary engagement by players over time. You have searched the Skilful Minds blog archives for ‘gameful design’. If you are unable to find anything in these search results, you can try one of these links.